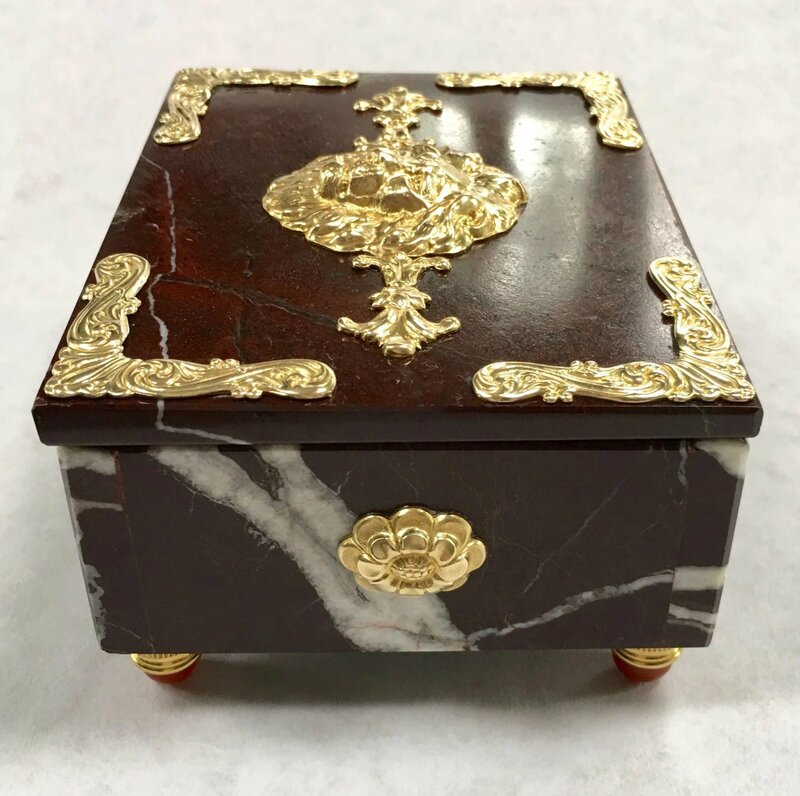 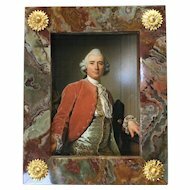 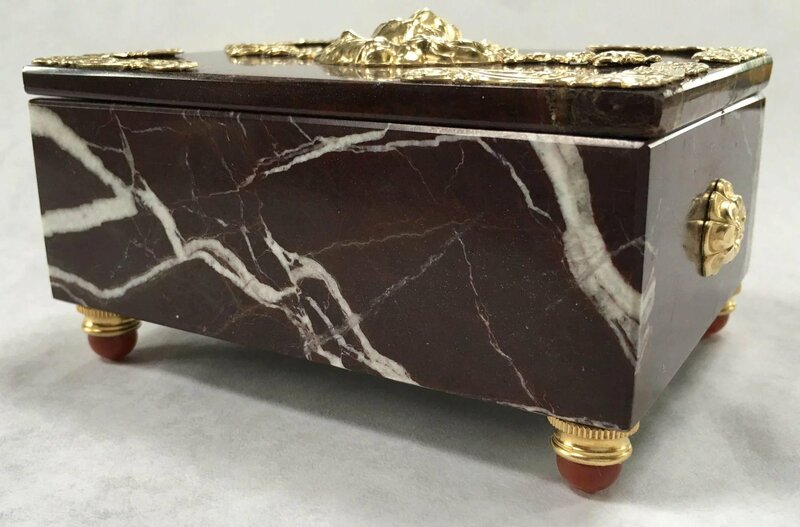 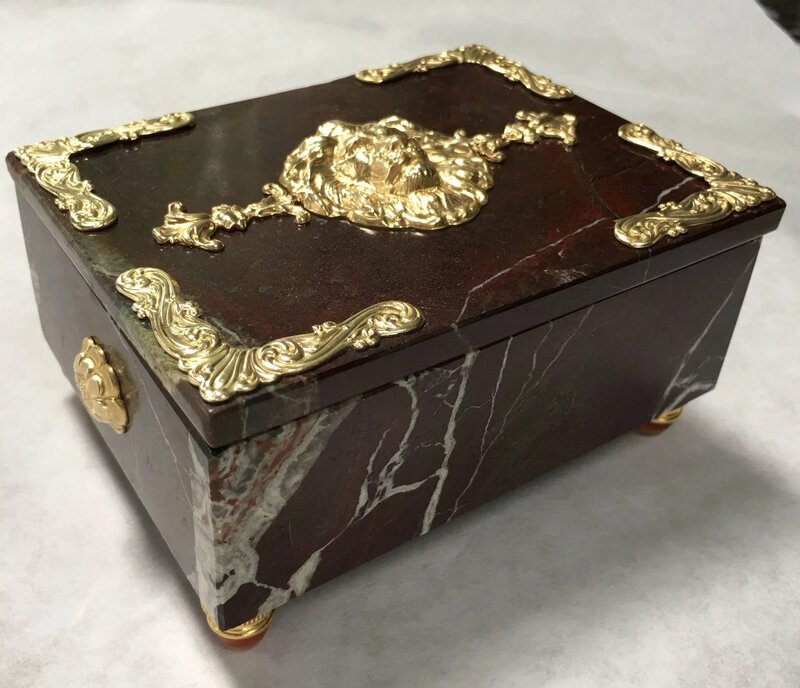 Gorgeous deep reddish brown Italian marble box with white veining. 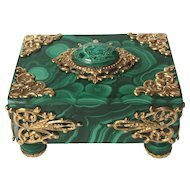 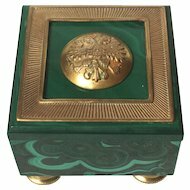 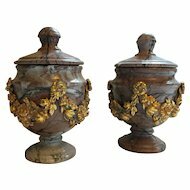 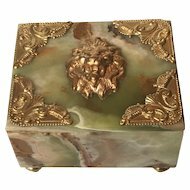 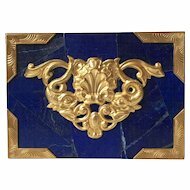 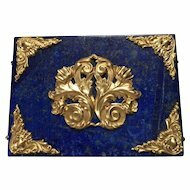 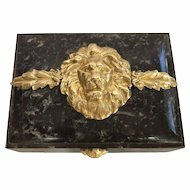 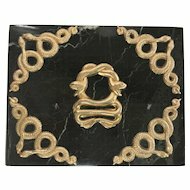 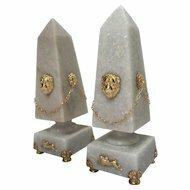 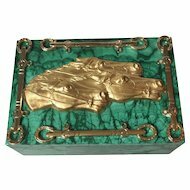 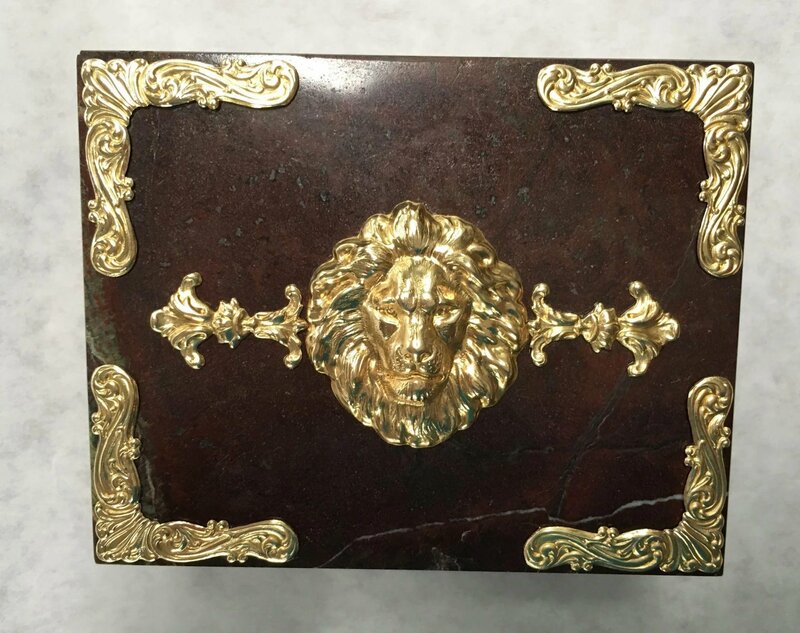 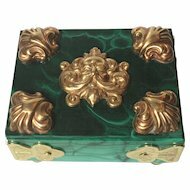 Lid features a solid brass "ormolu" lions head and scrolled corner mountings. 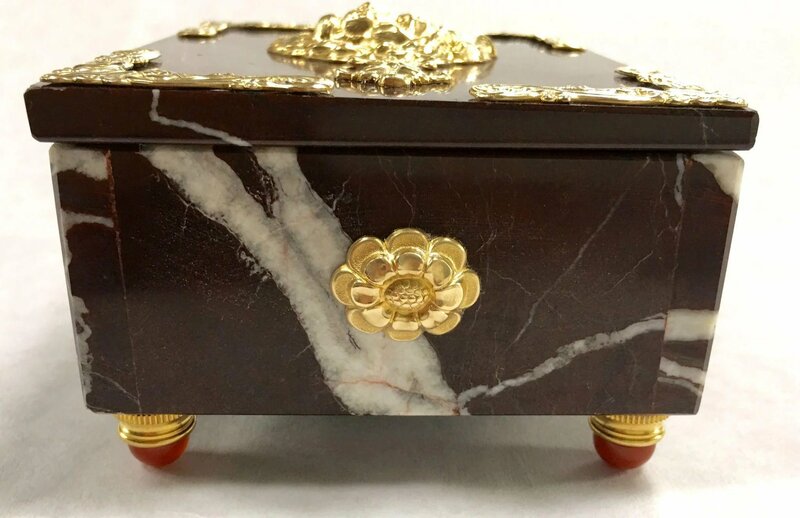 Each end features a small rosette. 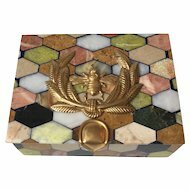 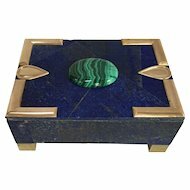 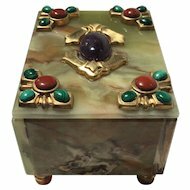 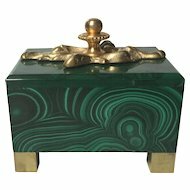 The box rests atop feet of solid brass and luxurious carnelian roundels. 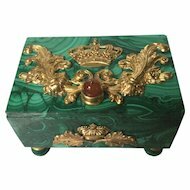 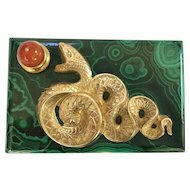 Fantastic tabletop or desk accessory. 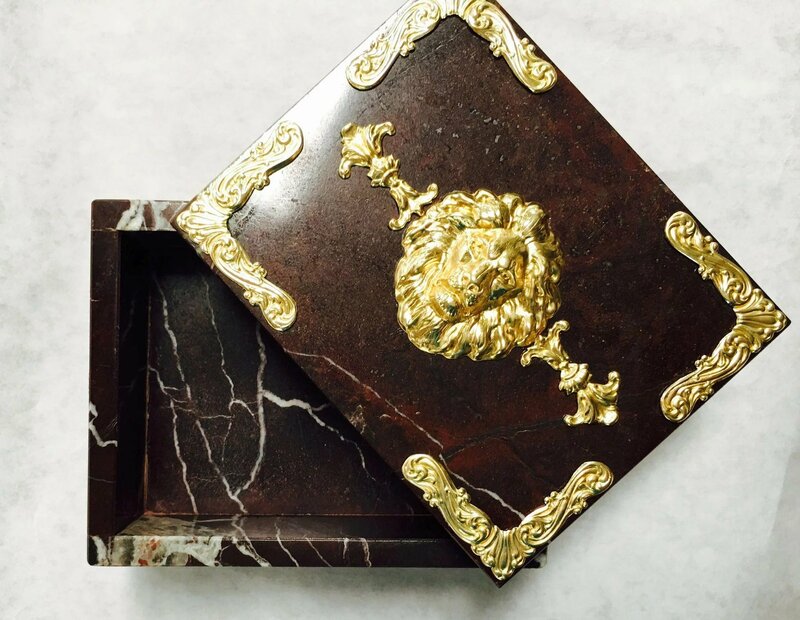 Handmade and one of a kind.